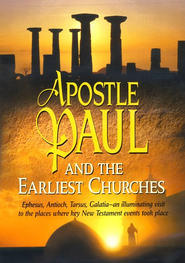 Apostle Paul and the Earliest Churches is a brilliant and illuminating video production. 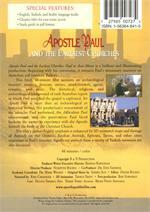 Beginning with his conversion, it reenacts the Apostle Paul's missionary journeys on Anatolian soil (modern Turkey). 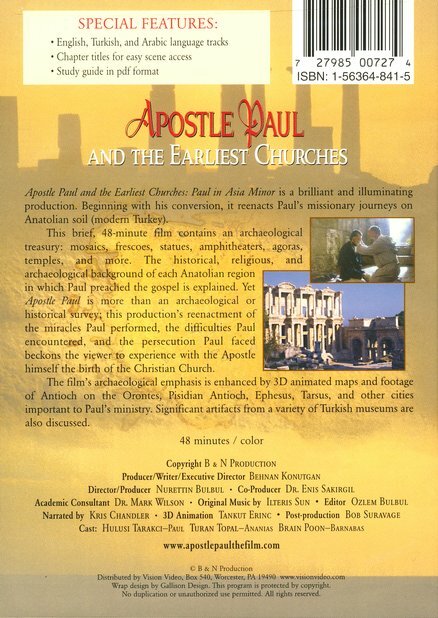 This brief, 48-minute film contains an archaeological treasury: mosaics, frescoes, statues, amphitheaters, agoras, temples, and more. Yet Apostle Paul and the Earliest Churches is more than a historical survey; this production's reenactment of the miracles Paul performed, the difficulties Paul encountered, and the persecution Paul faced beckons the viewer to experience with the Apostle himself the birth of the Christian Church.